The digital publishing industry -- wracked by two weeks of job cuts at BuzzFeed, HuffPost and Vice Media – was dealt another blow as U.K. online women’s magazine The Poolwent bust. I haven’t seen The Pool’s books, but I can imagine the company was way under-capitalized to establish a women’s media brand in a crowded industry. Facebook’s changes to its newsfeed algorithm last year has diminished web traffic to digital publishers, disrupting businesses that had grown over-dependent on the social network. The growing dominance of Facebook and Google in the digital ad market left digital publishers with fewer scraps to fight over. 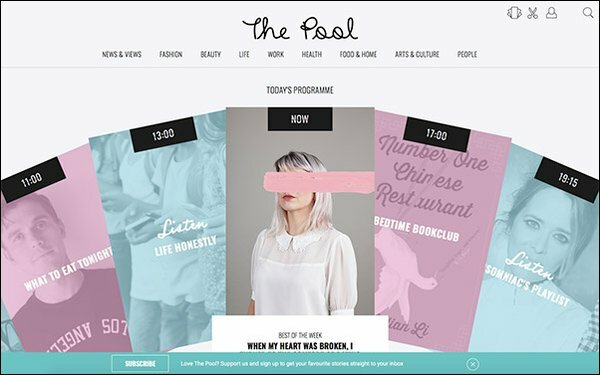 The Pool, founded in 2015 by author and former Cosmopolitan editor Sam Baker and British broadcast personality Lauren Laverne, last week filed for administration, a U.K. form of bankruptcy protection. The insolvency means 24 journalists are out of a job and many freelancers will get in line with other creditors to file a claim against the company, TheGuardian reported. The Pool’s staff didn’t get paid in January, leaving them dependent on appointed administrators for back wages or severance. The Pool built an online audience of half a million users a month, Newsweek reported on the publication’s first anniversary. The site was aimed at busy women who are faced with information overload in the digital age. Baker explained The Pool’s editorial mission, and how it differed from other media. The Pool distributed regular “content drops” that published different kinds of articles at different times of day in a regular cycle. The company lost £1.8 million last year, and had raised at least £4 million from shareholders, TheGuardian reported. Dominic Hill, founder-CEO of monthly subscription box Pink Parcel and It's a Monthly Thing, is The Pool’s only remaining director. “As a director and shareholder, I have a duty to do this as the business is now insolvent, and we have exhausted all rescue ideas/plans,” he said in a memo to staff.